With golf great Tiger Woods’ return to Augusta, ESPN enjoyed a 40 percent ratings jump over last year for it Masters Tournament broadcast. ESPN’s 2.2 ratings share for Thursday’s first round of the Masters was up 40 percent over 2017 but was also the network’s best showing since 2015, Awful Announcing reported. The common denominator in the ratings success appears to be Tiger Woods. The 2015 Masters broadcast was the last time Tiger appeared in that tournament. Additionally, the network’s fourth-highest rated Master opening broadcast was 2008. Woods came in second place that year after having won his fourth green jacket in 2005. 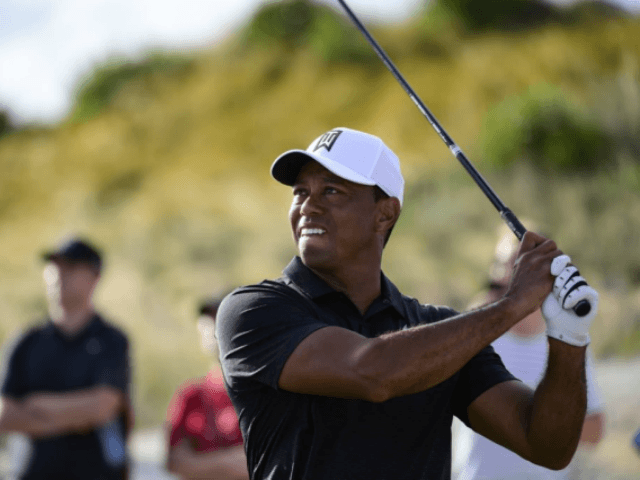 Tiger’s return to golf after a year away from the course boosted ratings for December’s Hero World Challenge by 27 percent. His strong showing at the Valspar Championship last month resulted in the highest rating for any PGA broadcast at a non-major since 2013, as the event rated more than three times as well as the NCAA Tournament selection show that same day. The following week, his presence at the Arnold Palmer Invitational boosted ratings 136 percent. The ratings gains came despite the fact that Woods is not even in the top ten having earned only a tie for 29th place for Thursday’s Masters.